Growing up on the edge of a small farming community in the Virginia Piedmont during the 1950's, where the wash was hung out on the line to dry, the vegetable garden gave quantities of good produce for canning and preserving, and extended family met at the dining room table three times a day for food, fellowship, and lively debate, I have been given rich memories for inspiration. The house where I grew up has always been home for me and my family. And, its familiar rooms, its views of garden and lawn, its surrounding fields, continue to give me a sense of continuity, and allow me to examine both memory and the present for inspiration. Family, friends, flowers, and our pets are often tucked into the composition. 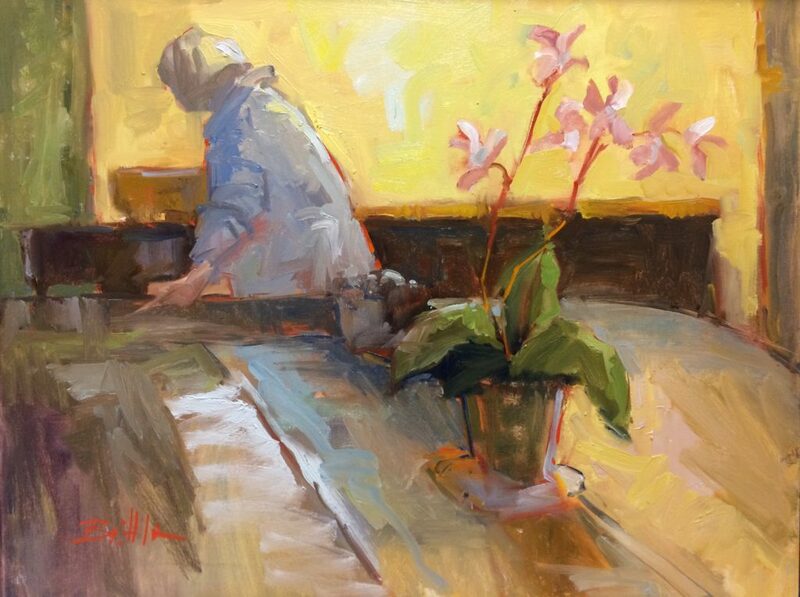 Oil is a favorite medium and I prefer the gesture and immediacy found in alla prima work to that of the long studio piece. Painting each week with tje Fredericksburg Plein Air Painters keeps me grounded. 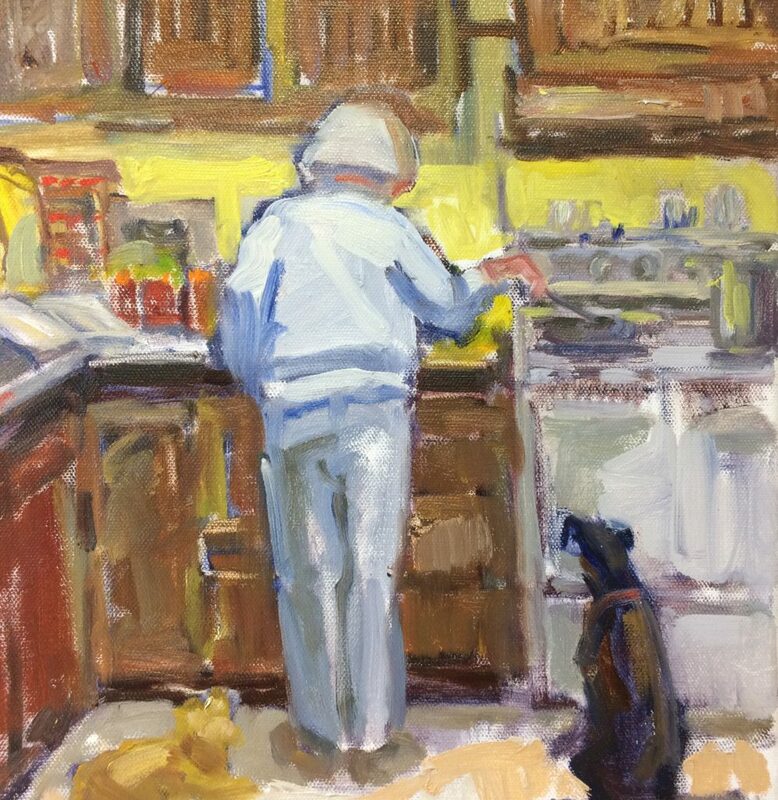 Nancy Brittle, studying with Julien Binford and Dorothy Van Winckel at Mary Washington College, graduated with a degree in art history and studio art before continuing her work at the Pennsylvania Academy of Fine Arts and the Ecole des Beaux Arts. She also worked on an MFA at the American University under the mentorships of Ben Sumerford and Robert D'Arista. 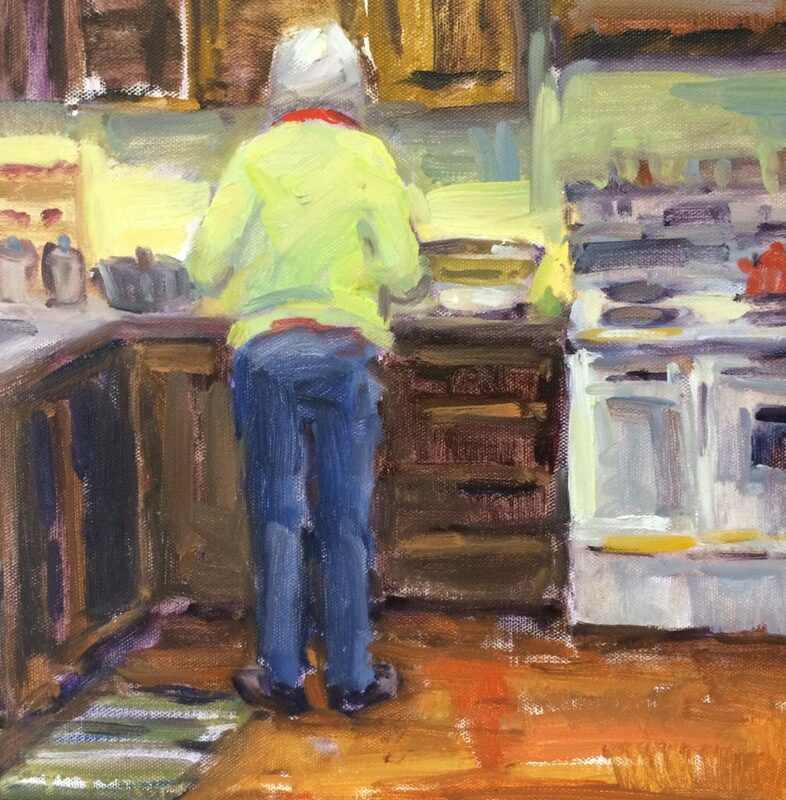 She has continued painting classes at VCU and recently completed workshops with instructors Susan Abbott, Anne Blair Brown, and Lori Putnam. 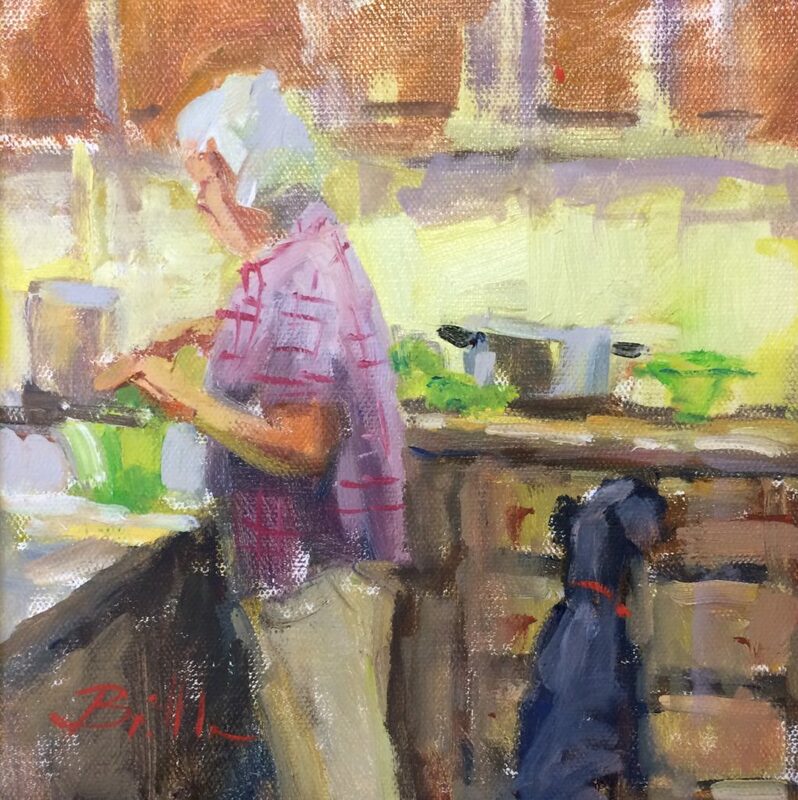 Currently represented by The Back Door Gallery and Middle Street Gallery, Ms. Brittle continues to compete on the national level. In the past two years she has been juried into the Women Painters of the Southeast's annual show, and the Spacious Skies Exhibition at the Anne Marie Art Center in Solomon's Island. 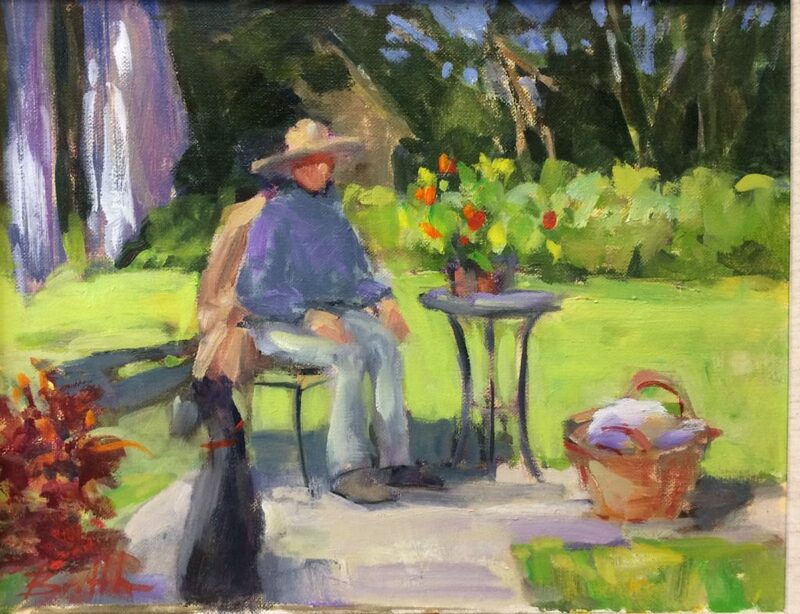 She also has participated in the Publisher's Annual Retreat in the Adirondacks and Floyd's Plein Air Event.